The Blessing Bag project is a unique and special opportunity to show Mums/Carers of children on the Autism Spectrum that they are valued, cherished & appreciated. The Blessing Bags are packed full of pamper items & are beautifully packaged with an affirming card that encourages a Parent or Carer. This project is a donation based project. We are proud to partner with Max Brown Real Estate Group who have Blessing Bag Collection Points at each of their offices across Melbourne. Blessing Bags are given to schools and early childhood services, free of charge, to distribute to Mums/Carers of children with Autism. The bags are designed to be an encouragement and full of delightful items that a Mum may not buy for herself. 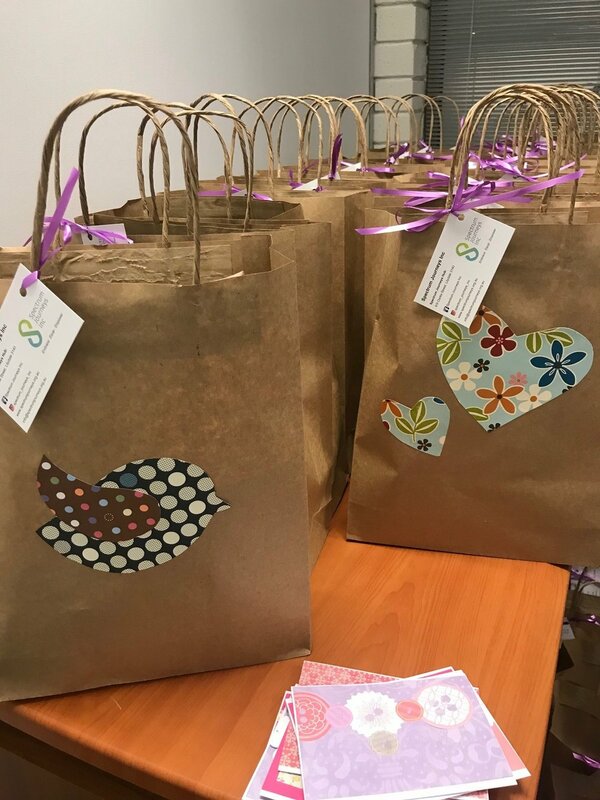 We believe that every carer and parent deserves to be valued, and the Blessing Bags present an opportunity to encourage self care. Please note - we do not distribute Blessing Bags to individuals. Blessing Bags are given to schools and early childhood services to distribute to their communities. Should you wish to contribute financially, we have tax deductible status for donations over $2.00. We regularly host Blessing Bag Creation Nights where Volunteers and Carers pack the Blessing Bags. Our Creation Nights have such a warm and embracing atmosphere, because of the Blessing Bag Team who makes everyone feel so valued and welcome. Often, Carers themselves come to pack bags. One Carer shared how it offers her respite and expressed her delight in able to do something for others in the same situation as her. She comes to support her own mental health and loves having a chat when packing bags. You are invited to download and submit the attached form to register your School or Early Childhood Service for Blessing Bags. This form does not guarantee Bags. Blessing Bags are based on donations and support received. We prioritise groups Schools or Early Childhood Services that have not received Blessing Bags in the past. We believe in the Pay It Forward approach and welcome support for this project from schools and services that have received Blessing Bags in the past. Please note that should you be given Blessing Bags that you need to co-ordinate collection from our Hub in Chirnside Park, Victoria. This is a Victorian based project.